Size: * 5'0" 5'2" 5'4" 5'6" 5'8"
Kitesurfers who come from a twintip background, really like the noseless designs. Kitesurfers who come from a surfing background really like the surfboard designs. But everyone loves the C.O.P.! 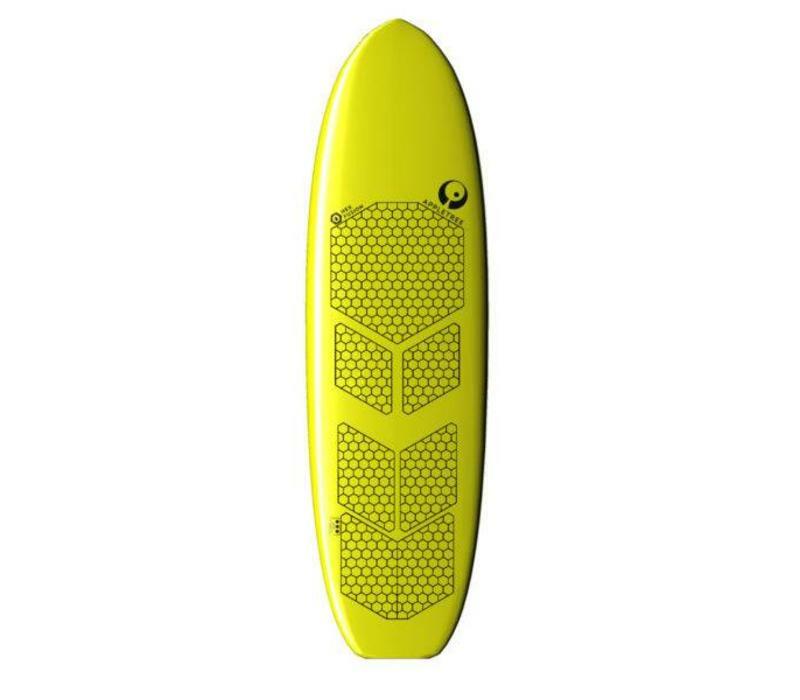 It has the characteristics that make a good noseless so nice to ride, it’s easy to get going, stable, jumps and lands predictable and it is very easy to ride upwind, but in the waves it’s also a very nice surfboard, with a real surfboard feel. Easy to control, but slashy when you want it to. 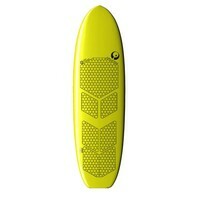 This is why we also offer this model as a standard surfboard to surf without a kite, it’s a really nice all round shape. The parallel outline with the generous surface area in the tail make it track well, and when you kite in a straight line, like when riding out, you can bury the rail and it levels out chops. We designed a new channel concept for the C.O.P. Model, the two channels on each rail are placed in between the feet. They are a shortcut of the rocker, giving you a straighter platform to push against when sailing upwind with your weight forward. When surfing the waves the channels don’t grip as much because you surf with your weight further back, and the board remains whippy and lose. The C.O.P. Is a very easy to ride board, that will surprise any experienced rider as well as someone that is new to riding strapless. *when you also want to surf this board as a cross over for kiting and surfing without a kite order about 2-3 inches bigger than the recommended weight, very dependent on your surfing ability. Contact us for personal advice.